I'm cheap. I am a tightwad. I'm frugal. I'm a penny pincher. Call it what you will- I have embraced this about myself over the years. On the other hand, I do indulge in such things as flour sack towels, real dishes, silverware, glass mason jars, and cloth napkins. As The Frugal Girl says, "Life with sturdy, non-disposable things is nicer, don't you think?" I find these are all beautiful little indulgences in my life. I have not purchased paper napkins in a couple of years. The paper towels are hidden under our kitchen sink. 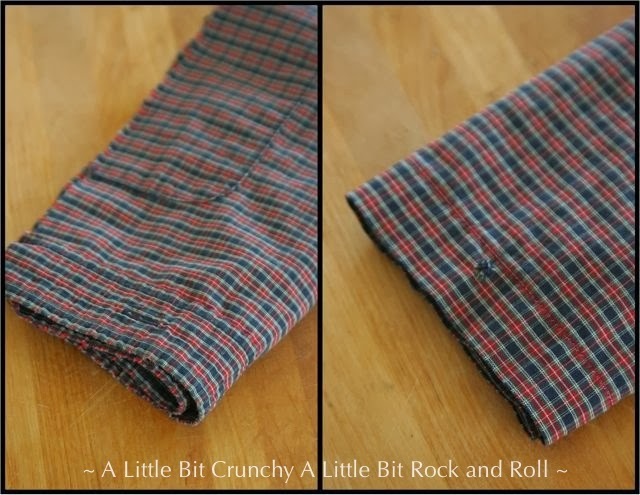 I use old cloth diapers to clean with, and I upcycle my husband's old work shirts into cloth napkins. 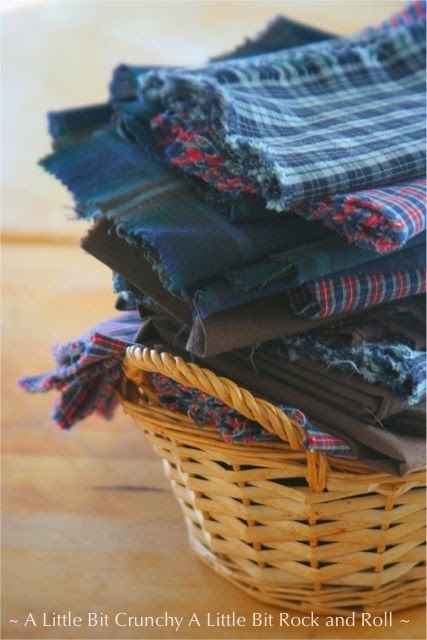 Switching over to cloth napkins is not nearly as daunting as it may seem. Has my laundry increased? Sure, I guess, but not enough that I have noticed. Do I spend all day folding things? No, it adds a few more minutes to laundry folding, but not much. Isn't using paper less wasteful than doing all that laundry? I think that argument is up for debate. 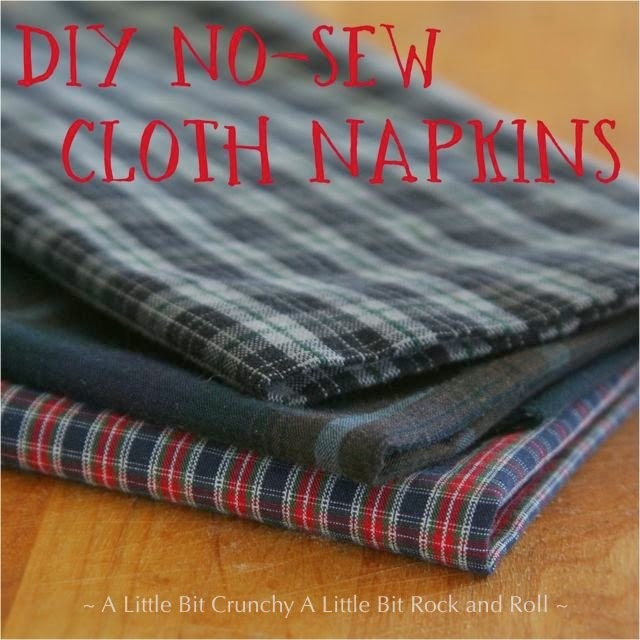 What I love about these no-sew upcycle cloth napkins is that because they are made using my husband's old dress shirts, they are thin and take up hardly any extra space in my laundry. Once he wears holes in them that are not worth repairing, I simply cut them up and bam- instant napkins! What was my cost? NOTHING. So how do you make them? Cut up an old shirt. Really, that's it. You can find a link to where I read about it here. Since we use these just for our family for everyday meals, I wasn't too specific about keeping every napkin the exact same size. Sometimes you'll see a button hole. Sometimes a pocket. But I figured..... who cares. I wanted to get as many napkins out of one shirt as I could. (I am a tightwad after all!) I even split the sleeves in half and got some more napkins that way. Please note: These napkins do fray. However, the fraying dies down significantly after a few washes. Since I save the nicer store-bought cloth napkins for company, I'm not overly sensitive with how these turned out. You can also use pinking sears, but I noticed they frayed only slightly less than straight scissors. So there you have it. Pile them up. Use them and reuse them... again and again. Quick, easy, environmentally friendly, and most importantly.... cheap! Embrace your inner tightwad. We use so much paper around here, I really should switch to these! Cloth vs. paper. Generally, it depends on where you live. East of the Mississippi: cloth. We have water but very little land for landfills. West of the Mississippi: paper. You have more land for landfills but more of an issue with water scarcity. 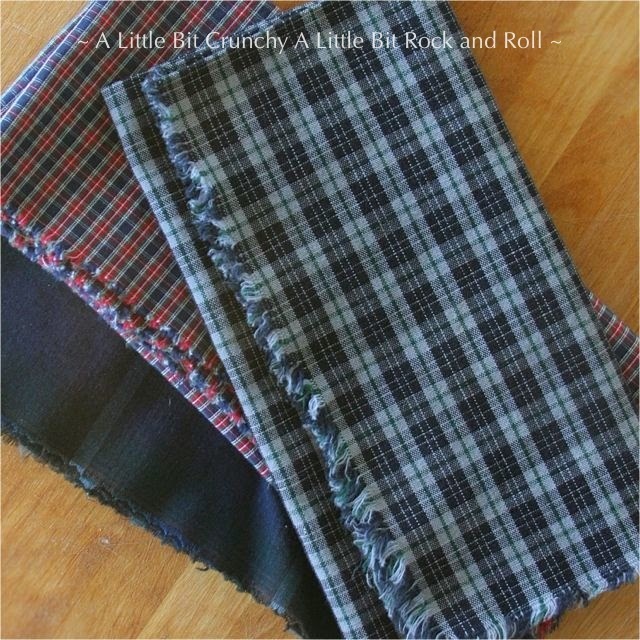 Personally, I think cloth napkins are nicer for guest and cloth diapers are nicer for baby. I am all in.